NXT Takeover WarGames 2 happened last night and one has to wonder why this show NEVER FAILS. No mater what NXT performers are on the card, the show just is filled with amazing action, great drama and wrestling. We see the main roster events and they, more often than not, are nowhere near as entertaining as NXT specials. Now, there are few NXT events on the WWE Network than WWE PPVs. That has to be taken into account, but still. There has not been one Takeover special that has been a disappointment. 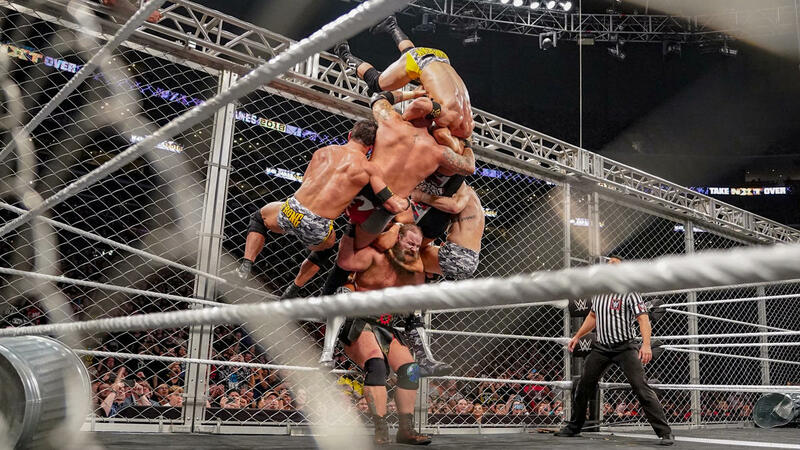 WarGames last night was insane with Ricochet, Pete Dunn and the War Raiders defeating the Undisputed ERA after Ricochet and Dunn co-pinned Adam Cole (Bay Bay). This followed some fantastic storytelling inside the match as well as insane spots that looked amazing. And an argument could be made that this brilliant WarGames was the third best match on the card. Johnny Gargano vs. Aleister Black and Tommaso Ciampa vs. Velveteen Dream were perhaps the best back-to-back singles matches in history. Both matches would be pushing five star classics. Johnny Gargano has been in more Match of the Year candidates than any other performer in WWE. By far. Ciampa is maybe the best heel going today. 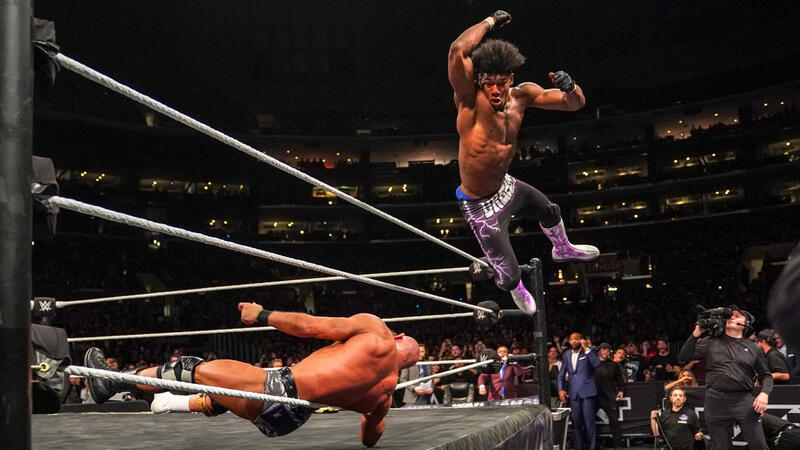 The Velveteen Dream is going to be a massive star, and he is only 23 years old. Then the show kicked off with a quick squash match for the King of the Bros, Matt Riddle. Plus, an entertaining women’s match with Shayna Baszler vs. Kairi Sane, what more could you want? I think a major issue with WWE is how these unbelievably entertaining and remarkably talented performers get lost when they arrive on the main roster. They obviously thrive in the world of NXT,but the main roster seems to chew them up and spit them out. Why is that? Is it the performers fault? I have a feeling that is what is being said backstage, but when there are more performers who were amazing at NXT but under-performing on the main roster, shouldn’t creative have their share of the blame? Andrade “Cien”Almas is the latest example of a man who will be in the Top 10 matches of the year list on NXT but lost in the shuffle at Smackdown. There really can’t be that big of difference is there? It has taken Bayley years to recover (if she has) from the disastrous run on the main roster. She was once one of the hottest acts on NXT. Thankfully, it looks as if the Authors of Pain have been allowed now to become what they are instead of becoming the next Ascension. There are too many to be coincidence. Creative is the problem. Vince is the problem. One day, perhaps we could have WWE giving us one success after another. Maybe. Until then, we are NXT.